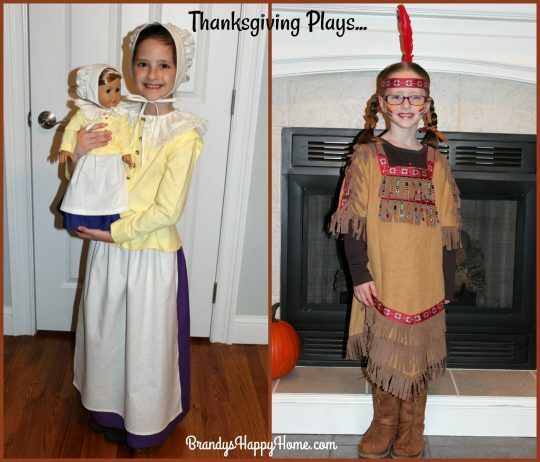 Having your kiddos put on a Thanksgiving Play is a wonderful way to spark their creativity and keep them busy! You can have them write a short skit themselves or you can use one of the links below to get inspiration. If your kiddos don’t feel like putting on a play themselves, they might be interested in doll play. Consider having them create a play for their dolls. 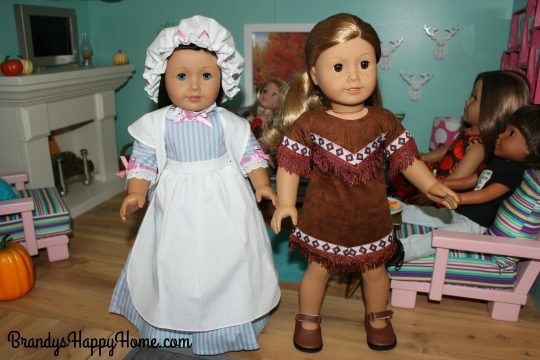 These beautiful pilgrim and Native American doll outfits are from the Neat and Cheap Doll Outlet. For my other “Around the Kid’s Table” posts see here: Thanksgiving Card Games, Thanksgiving Coloring Pages, Thanksgiving Bingo, Thanksgiving Headbands for Kid’s and Dolls, Kid’s Table Craft Caddy, Roasted Pumpkin Seeds, Holiday Appetizers for Dolls. Previous Post: « Card Games for Kids of ALL ages!